"The Revelation of Jesus Christ, which God gave unto Him, to show unto His servants things which must shortly come to pass; and He sent and signified it by His angel unto His servant John-who bore record of the Word of God, and of the testimony of Jesus Christ, and of all things that he saw. Blessed is he who reads, and those who hear the words of this prophecy, and keep those things which are written therein-for the time is at hand! "-Revelation 1:1-3. 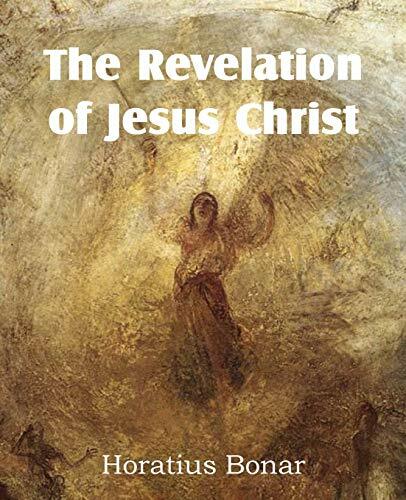 The TITLE of this last and most wondrous of inspired books is 'the revelation (uncovering, unveiling) of Jesus Christ'. It is He who "unveils," and it is He who is here unveiled to us, and who shines out with transfiguration-brightness before the Church's eye. The spirit and sum of this book is 'testimony to Jesus' (ch. 19:10). He is its Alpha and its Omega. We find Him everywhere-in description, in song, in symbol, in prediction; in things past, present, and to come. Here Christ is all and in all. This last book completes the "unveiling" which was begun in the Gospels and carried on through the Epistles. The last fragment of the veil is here taken from His face. We see Him as He is, on the Father's right hand, on the throne, through the rent veil. The heavens are opened, and we see Him (as Stephen did) in His present glory and in the glory of His second coming.